Oakley SI Tombstone Spoil is targeted for those with a smaller face shape. 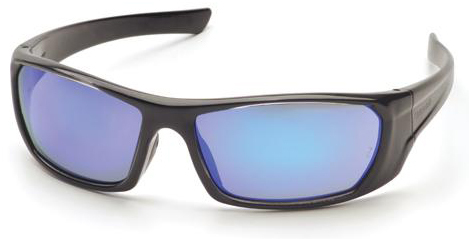 Oakley SI introduces a revolutionary competitive shooting eyeshield, Tombstone Tactical Sunglasses . Oakley SI worked with top marksmen to identify the most crucial problems they encountered with conventional eyewear. The response focused on three specific areas: Field of View, Contrast/Clarity, and Lens Interchangeability. Solving these problems was at the forefront of designing all aspects of Tombstone. Using eye-tracking technology, Oakley SI identified the key zones in your field of view to allow for 120 degrees of vision. Oakley SI incorporated PRIZM technology to provide contrast enhanced viewing to help lock in your target and decrease eye fatigue/eye strain. Finally, Oakley SI integrated a single release trigger for rapid lens exchange that is fingerprint free. The end result: Tombstone, Oakley SI’s most advanced shooting eyeshield delivering unprecedented performance for the modern day marksman. Lens: Oakley SI Prizm technology uses formulated dye compounding technology, producing a color-tuned contrast lens specifically for shooting. Boosts visual recognition of targets while blocking a variety of neighboring backgrounds such as dirt, trees and sky. Allows the shooter to reduce eye fatigue and strain, while improving the ability to see reticle scope patterns more clearly. Made from Plutonite, Oakley’s high purity optical grade polycarbonate. Blocks 100% of UVA, UVB and harmful violet-blue light up to 400 nm wavelength. Features Oakley’s HDO Optics to ensure razor-sharp clarity at every angle of vision. Frame: Rimless frame increases scanning passive field of view to 120-degrees. Thin stem technology enables compatibility with over-ear hearing protection/comms. Rapid, single release trigger lens exchange keeps lenses free of fingerprints. Durable and stress-resistant O Matter® frame material makes it comfortable and ultra lightweight. 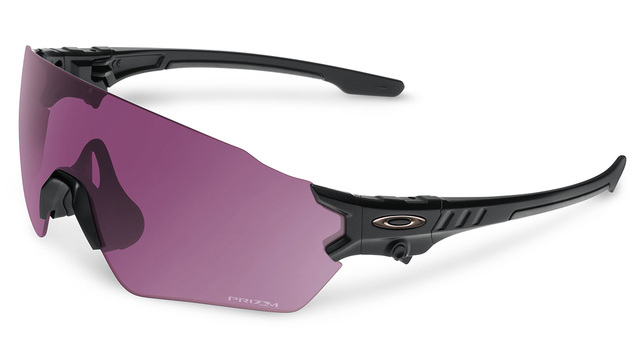 Compliance: ANSI Z87.1-2010 certified Oakley Standard Issue items are available for US sales only . We will ship only to United States destinations and US military bases. Oakley Standard Issue items on orders shipping outside the US will be removed before the order is processed.